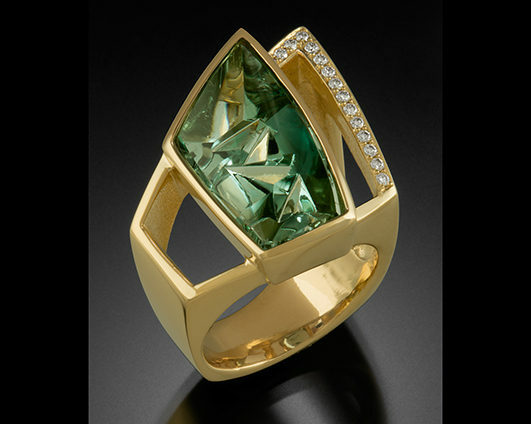 Innovative, sculptural designs range from sensuous and organic, to bold and geometric. The designs are hand carved and cast or constructed of gold. Gems are selected for their vibrant, unusual color.